Nick is a veteran of the Meeting & Events Management industry, a long time entrepreneur, and former actor and comedian. Now Nick has been coaching corporate executives for many years. 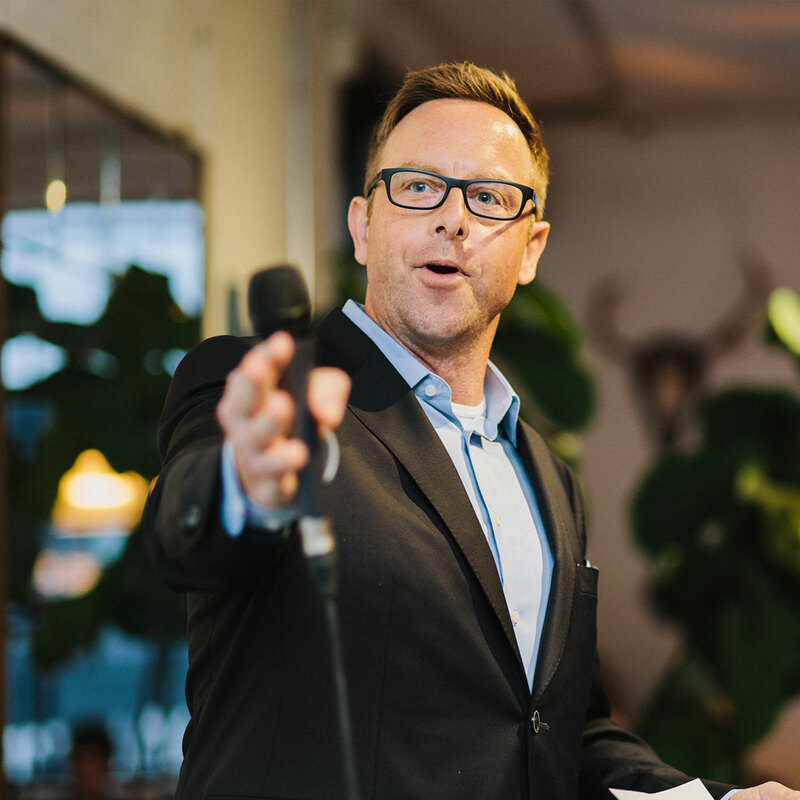 From his days as a writer, actor and director with his comedy troupe to being the Partner, Executive Creative Director and Speaker Coach at Engine, Nick has worked with some of the biggest brands in the world. As a presentation coach, Nick has helped hundreds of executives and employees from such companies as AstraZeneca, Roche, TD Canada Trust, Zurich Insurance, Big Brothers Big Sisters, London Drugs and Moneris Solutions. He teaches brands how to make a real difference in the way they share their business story and how they connect with others. Nick Kindler has extensive experience in developing branding programs, generating original marketing strategies, producing turnkey events, and creating original video content and workshops that engage audiences. He thrives on helping leaders develop their ability to communicate and connect with authenticity so they can engage others to act. In this session, Nick illustrates the importance of story in educating and understanding all areas of business. You will learn how to craft even the most mundane business messaging into a meaningful story that engages your audience. In a world where we are bombarded by information and choice, we stick to the people and brands we trust. But how do you establish trust when you’re doing business? This deep-dive session shows audience members how we can all learn to communicate more truthfully and find our authentic voice. This is key for entrepreneurs, sales people and especially leaders so that all communication and content is engaging and meaningful. Nick is also an experienced host and moderator and is available to help make your next event a seamless success.